The Fox Cities Region is one of the largest, fastest growing urban centers in Wisconsin with a population of more than 300,000. 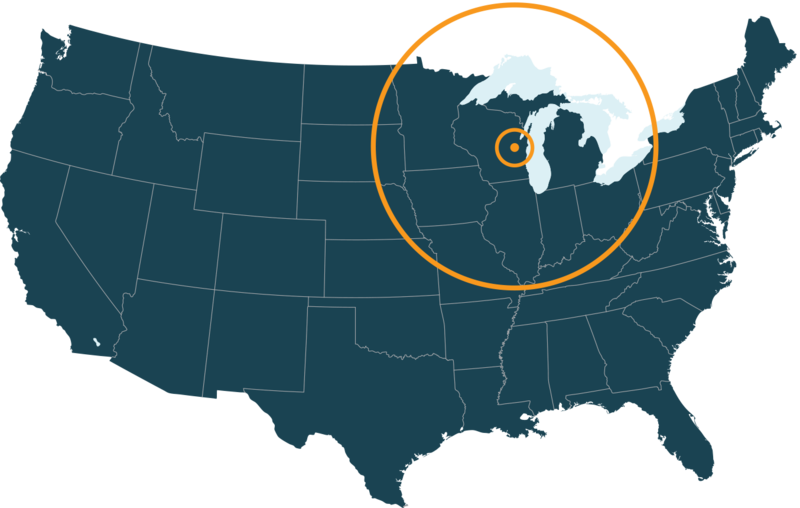 With proximity to major markets such as Milwaukee, Chicago and Minneapolis-St. Paul, businesses in the region can reach a large customer base within a short shipping distance. A population of more than 88 million within a 500 mile radius means shorter shipping distances to major markets. The Fox Cities Population is: Educated, Young and Working! The Fox Cities Region retains an educated workforce. The Fox Cities Region offers a lifestyle that’s attractive to young workers. Labor Force Participation Rate outpacing Wisconsin and the Nation!